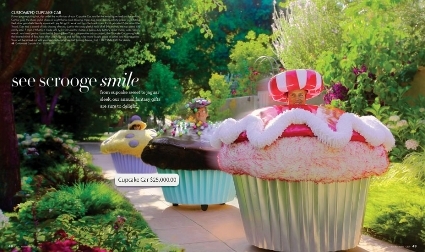 2009 Neiman Marcus Christmas Book Catalog Out Now! Hey folks! It’s that time of year again. Yes, the Neiman Marcus Christmas Book is now available online. I have taken a look through the 160-page online Christmas catalog, and here are my favorite 3 items for sale. An amphibious hull and landing gear to take off and land just as easily on water as on land. The ability to run on automotive gasoline or aviation fuel. a state-of-the-art GPS system, so you don’t get lost. A range of 345 land miles or 300 nautical miles. A next-generation lightweight carbon fiber frame. Spy-movie wings that rotate up and fold back out of the way. Removable side windows to dangle your arms out into the wind and sun. A custom, high-tech trailer for fast and easy loading and unloading from land or water. 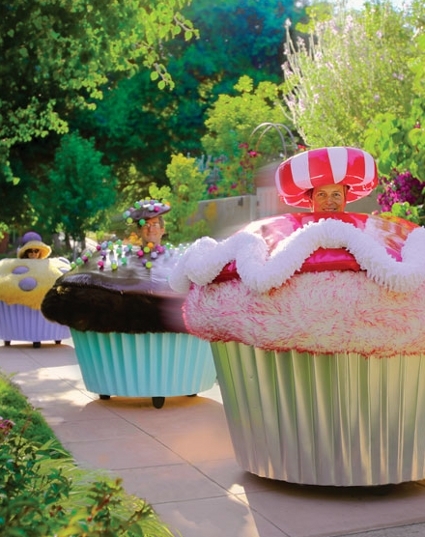 The Customized Cupcake Car is #2 on my Christmas List by virtue of its WTF??!!?! nature. I mean, I would love to “…Bring it to work and buzz the breakroom. Crash parades! Putter about the ‘hood…” My only concern involves transporting this cupcake from point A to point B. I guess I’d have to purchase a truck. In fact, maybe I could get a matching truck. A boy can dream, right? Now this is what I’m talking about. I love guitars. 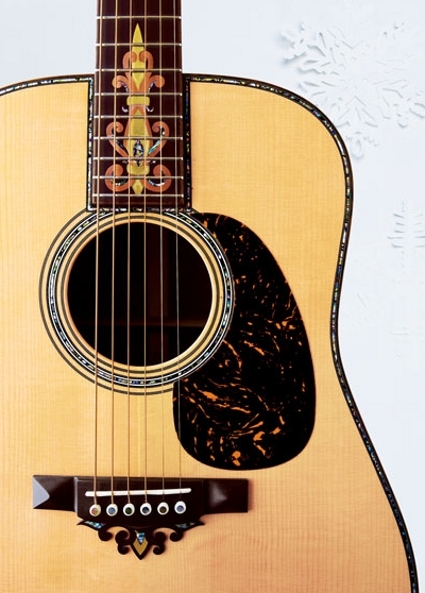 And I love Martin acoustic guitars. 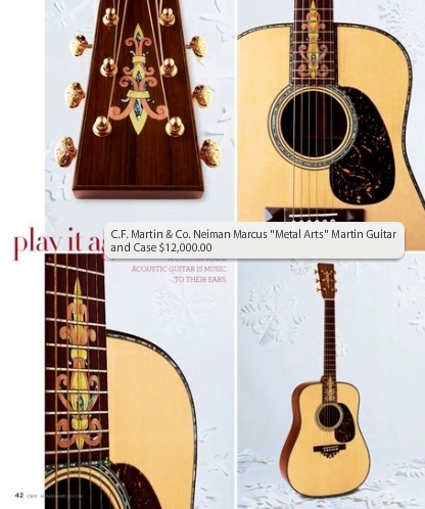 Naturally, I would love to own the $12,000 Neiman Marcus “Metal Arts” Martin Guitar and Case. Actually, $12,000 is not too bad for a custom C.F. Martin acoustic guitar. Out of all the big items in the catalog, this one is probably the most logical for me. It’s a custom music instrument whose value will increase over time. Count me in! Well, enjoy the upcoming Christmas holidays. And if you find some awesome gifts out there, send them to me. I’ll review them. And keep them.